Euro Exim Bank, an early partner of blockchain fintech startup Ripple has successfully integrated the firm’s financial product x-Rapid which uses its XRP token. In an interview with Trade Global Finance, Euro Exim’s Compliance and Operations Head Graham Bright confirmed that the bank has integrated Ripple’s XRP-powered x-Rapid to its system. Ripple has successfully partnered with several financial organizations many of which have trialed its solution for cross-border payment settlement. 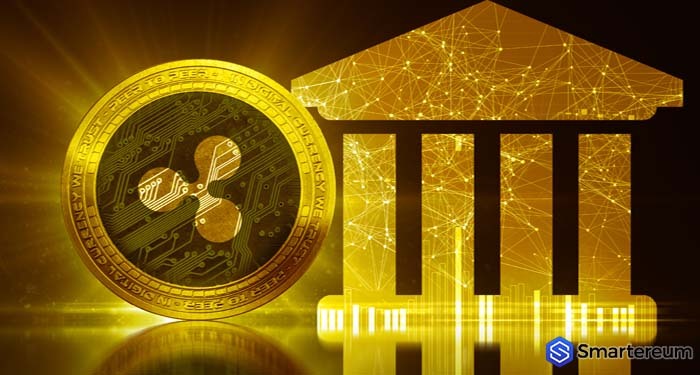 However, most of the institutions have joined Ripplenet and opted for the x-Current which does not involve the use of ripple’s native token XRP. X-Rapid, on the other hand, provides immediate liquidity by converting to cryptocurrency. This is the source of its primary advantage over traditional payment settlement systems but in it lies its biggest cause of concern. Referring to the x-Rapid, Gottfried Leibbrandt the outgoing CEO of global payment service provider SWIFT claimed that the fluctuation in cryptocurrency prices was a major turn-off for financial organizations who decide against converting funds to cryptocurrency. “I think that the big part of Ripple’s value proposition is the cryptocurrency XRP…there we do find the banks are hesitant to convert things into a cryptocurrency right now because of the volatility in the currencies,” he said during a panel discussion alongside Ripple’s CEO, Brad Garlinghouse. Garlinghouse, in response, explained that the XRP is not subject to massive volatility typical of the crypto market. “Mathematically, there’s less volatility risk in an XRP transaction than there is in a fiat transaction,” he said. Speaking last year, Garlinghouse predicted that more financial institutions will sign up for its x-rapid product in 2019. Euro Exim agreed to use x-rapid in January and is expected to announce its first successful transaction involving x-Rapid before the end of this first quarter.